So, Corbie has a new obsession. Old upright pianos. Cool idea, right? Try putting it into practice. 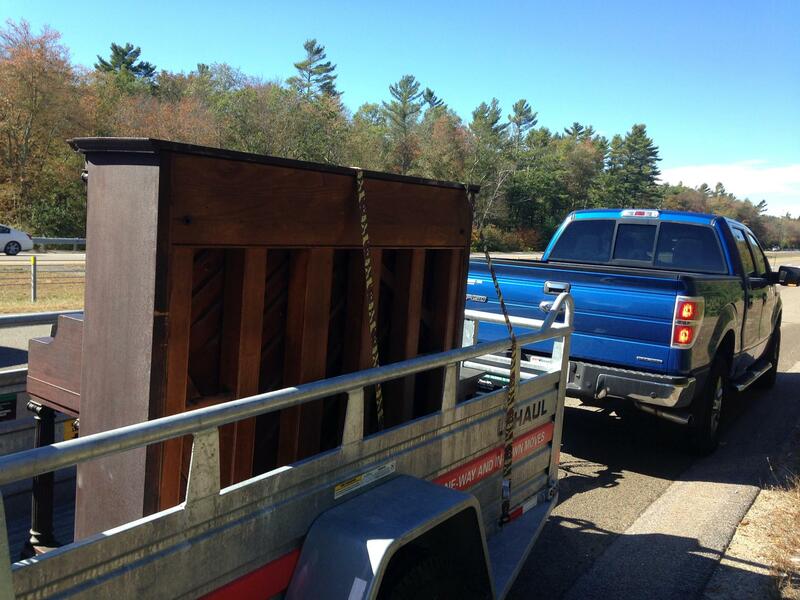 This week-end, we embarked upon our task: the acquisition of our first upright piano. 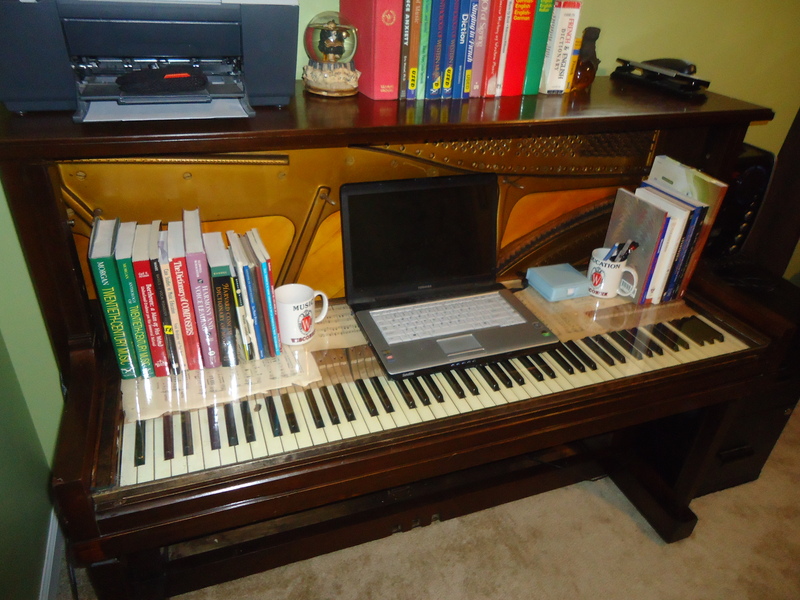 Finding one was pretty easy, because it turns out, there are a lot of folks with upright pianos out there just dying to give them away for free, if you’ll go and takem them off their hands. Seriously! Check it out on Craigslist if you don’t believe me. These things take up room and are really, really heavy. 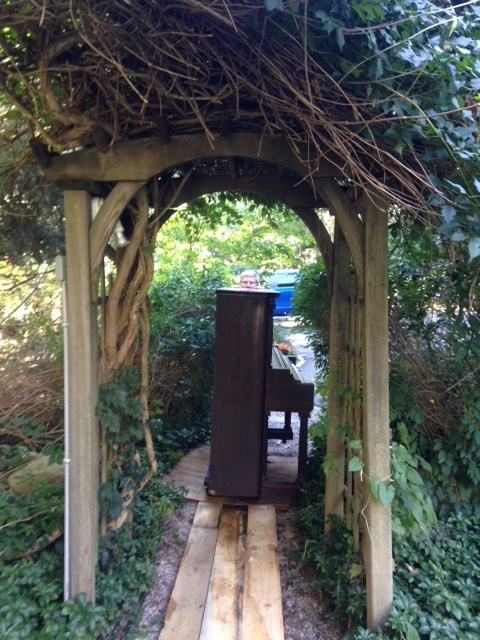 Corb, naturally, chose the piano farthest from where we lived, out in West Cranberrybutt, Cape Cod. The guy who had it admitted it was out of tune and didn’t work, which Corb liked because among his other choices were pianos that had recently been tuned and worked perfectly. He doesn’t have the heart to destroy a perfectly working piano. Also, he thought it had the best design overall, with some of those old Roman columns for legs and at the top. We got our first taste of what a bear this was going to be getting it out of his house. Even with the truck pulled all the way up to the front steps, it still took four guys (me, Corb, the owner, and what appeared to be the owner’s gay lover) a bit of effort to get the piano into the hitch Corb had rented. I must admit, this made me a little nervous, because I knew that at Green Victoria, there was no way we were pulling the truck up to our front porch. No, we had a long driveway and then a lovely stone path to contend with, which was picturesque, but going to make life a living hell. But that was a challenge for another hour. 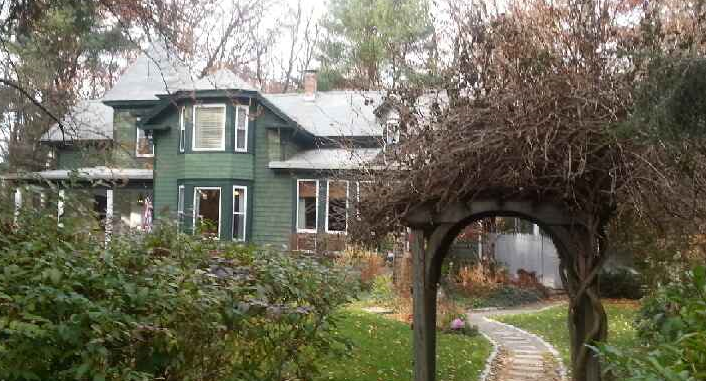 At that time, we simply bolted up the piano and drove back to Eldredge. “So, any ideas how to do this?” I asked Corb, once we arrived home. The first part was the easiest. Get it off the hitch and onto the small dolly Corb had purchased to help it roll better. That got us to the edge of the driveway and right next to the picturesque crushed stone walkway. How to move it forward? The dolly was going to get in a whole mess of trouble if we moved it any further. Corb was a little skeptical. But it turns out, I was actually right! I will admit, we had one really rough patch. Rolling uphill and at a curve was a real challenge, and the planks started to break at one point, forcing us to buy a few more. Plus, one of the dolly wheels started to bend back, after the first hour. 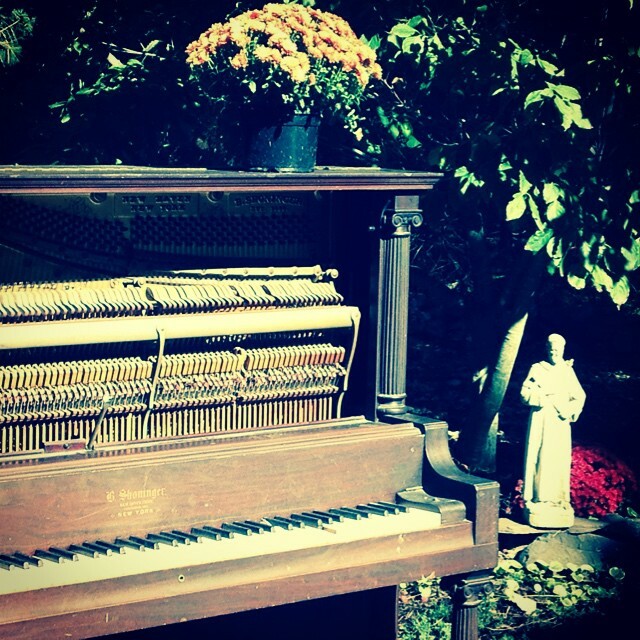 But by the end of the day, right before the drag show was about to begin, we had the piano right by the front porch. And now we had a new challenge:THREE LITTLE STEPS. This turned out to be a challenge that was insurmountable for two whole days. 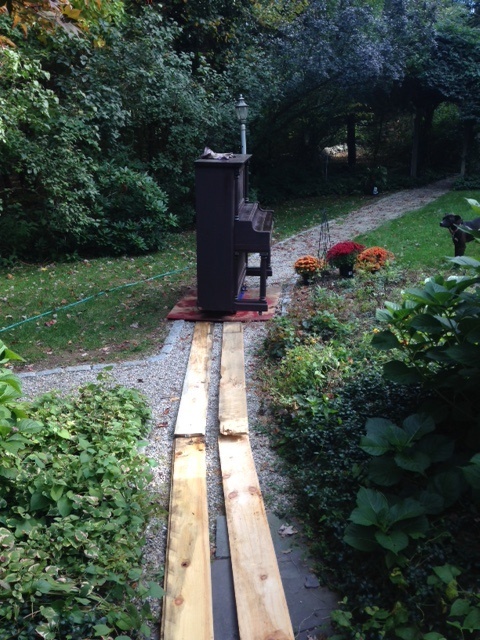 Turns out, the two of us are incapable of lifting the heavy piano up the stairs to the front porch. We tried everything: trying to tip it on its side, purchasing ropes and pulleys. We even bought this strap-on thing that looked more like a sexual device than a means of moving the piano. It didn’t work at all. We called some movers, but they wanted at least $200 for what was sure to be a five minute job. That seems ridiculous. FInally, we managed to get our bud Hot Coco to come over with her man friend and help us lift it over those three little steps. The price was only cost the purchase of her Chinese take-out that night. And there it sits. I am not sure when Corb will get to it next. I am sure it will used as a prop for our annual Halloween party. Maybe we can even put speakers next to it and have it play spooky music. But in any event, the next great refurbishing adventure has begun at Green Victoria. Hopefully, we will survive it! Categories: Uncategorized | Tags: drab to fab, green victoria, home improvement, piano, refurbishing | Permalink.